These connectors mate with any standard 0.1" spaced dual-row pin headers. 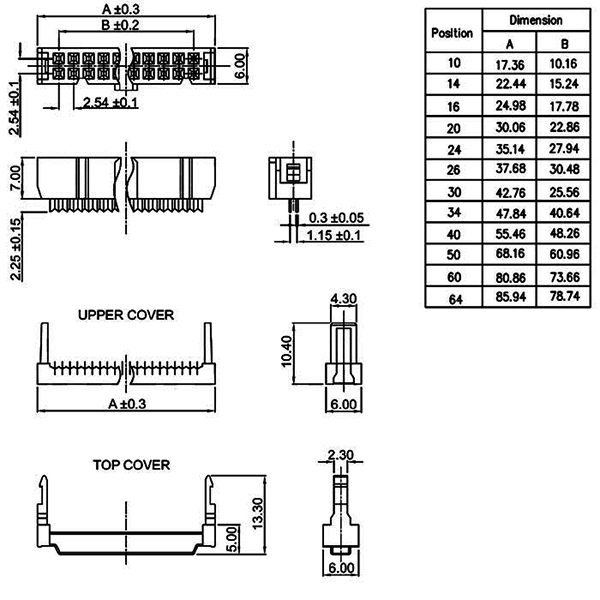 The insulation displacement (IDC) contacts on these connectors allow them to be quickly and easily crimped onto flat ribbon cable. These are female sockets designed to connect to male pin headers. These connectors have a polarizing tab in the middle to ensure correct orientation when used with a shrouded header ("box header"). A strain relief clip is included with each connector.